In this tutorial we will install Coinmon. 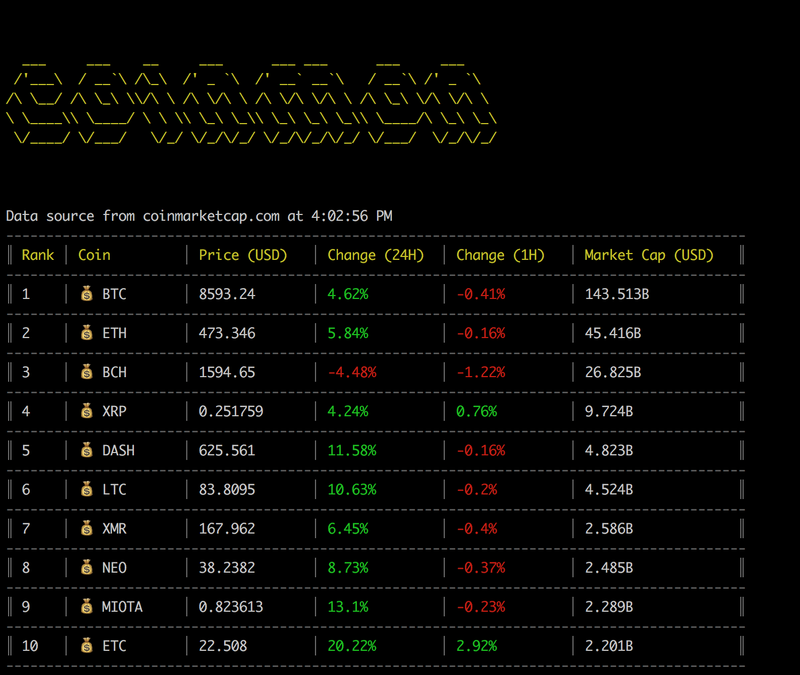 Coinmon is a best CLI tool to check the prices of the Cryptocurrencies directly form your command line. I am command line fan and I like to do most of things from cli. So, Coinmon is best tool for me to check the prices of cryptocurrencies directly from cli. Now we will install coinmon using npm. Now we have successfully installed coinmon. Let’s see how you can use it. Use the following command to check the prices of top 10 cryptocurrencies. To see all the options available with coinmon execute the following command. For more information coinmon github page.